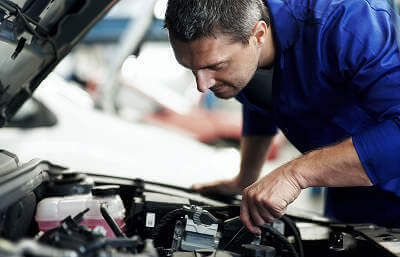 Wheel Alignment sometimes referred to as wheel tracking or Wheel Balancing, wheel alignment is the connection between the wheels and the suspension. Wheel alignment is also plays an important role in the steering of your car and ultimately helps the driver keep control on the road. Wheel Alignment essentially sets your tyres in the best position to maximise stability of the car and fuel consumption. Having a check carried out by a local garage is the easiest and safest way to check if your alignment off. There are also some obvious signs when a wheel alignment is necessary. There are some signs which are common side effects shown by the car when wheel alignment is required, if the steering is pulling to one side, if the steering wheel is vibrating a lot, and when you are driving on a flat but the car is pulling to one side. A car’s wheels go out of alignment from general wear and tear over time, common reasons are usually from hitting a kerb or big potholes or if the car has been involved in an accident. What is the difference between front wheel and 4 wheel alignment? Front wheel alignment – is the alignment of just the front two wheels, which in most cases is enough to fix any wheel alignment issues. 4 wheel alignment is known for its accuracy, using technology to measure 14 different points on the car using sensors, this method can ensure that alignment is 100% accurate. Wheel Alignment is necessary for all cars eventually, you can check your wheel alignment using the signs above or you can have it checked by an approved garage using the MyCarNeedsA.com website. Using MyCarNeedsA.com means you can also see more information on wheel alignment costs. Simply type in your registration and get quotes directly from local service providers, my car needs a allows you to set your mileage and pick what every your car needs instantly.